Summer Bass Fishing can be tough when the temperatures are reaching into the 90's and even 100 degrees at times. These tips will help you catch more and bigger bass in the summer and also dispel a lot of myths about bass being lethargic in high temperatures. 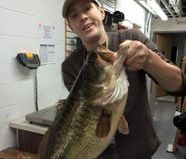 The right bait, presented the right way, at the right times, will produce not only more bass but bigger bass as well, be it a lake,pond, or river! Here are some of the top summer baits and tactics that will work all over the country. I think most people know that a buzzbait can be an effective tool for big bass in the summer. The trick is throwing it repeated times from many angles if they don't strike right away. Vary the speed and angle of the bait and make repeated casts to the same structure and watch what happens. At night throw this bait in the open water flats near creel channels and pads, use a trailer hook whenever possible. The Frog has been a favorite summertime bait all over and walking a frog is effective in open water as well. We found a Spro Popping Frog has been the best overall frog especially in the rivers on matted grass like the Potomac and Upper Bay. The chatterbait can make bass strike even in high temperatures! You can also slow it down and run it deeper into offshore structure. Take a look at our summer chatterbait videos and see what we mean. The jig has produced more and bigger bass in summer and for that matter all seasons, than probably any other bait. It is a versatile bait and can be used many ways. Take a look at our jig fishing videos for more detailed instructions on jigs. I always use braid like Sunline FX2 in 65 lb test unless its super clear water, then I use Sunline Fluorocarbon. Soft plastics like a Senko are always great summer baits and a thin worm or grub on a jighead or a drop shot are a necessity on low or slack tides. We have a great video here and on Youtube, where Mike Sentore shows how to do this in detail. The main things we can tell you to help catch more and bigger bass in the summer in any body of water is this! GO EARLY, GO LATE, and WATCH the detailed videos we offer on how to do this in lakes and rivers. Come to the new forums and make a post and ASK! 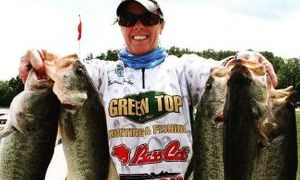 Experts are there to answer to help make you a better angler! If you want to interact with the owner and members visit the forums on Facebook for instant responses and reports and live help with tournaments. We can schedule a trip for on the water instructions with you for any of these techniques.